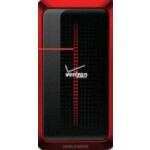 USB Modem with Global Access coming to Verizon? 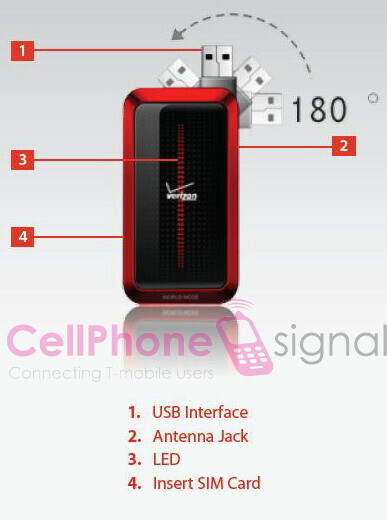 This is a first for Verizon, a USB data modem with Global Roaming, and if the the people over at Cellphonesignal are correct, this could be right around the corner. The device is said to be manufactured by ZTE and will work with Verizon's CDMA EVDO network in the U.S. and GSM/UMTS 850/1900Mhz networks thanks to the pre-installed SIM card. Most other details are left out, such as if EVDO will be Rev 0 or Rev A and if you can use other SIM cards than the included Verizon/Vodafone. Not if you get the global data plan. I think this will be a great solution for those who do travel outside the United States and want to have internet on their laptop or desktop. For so long VZW has only had that out of date express card option for global travelers that had to be sent to customers by mail. Come on, USB cards are the thing these days!! Yes global roaming would be very expensive to use on a pay as you go basis, but I believe VZW has a data plan for $130 that is the same as the $60 domestic plan, but it allows you 100 MB of use while traveling abroad. the data roaming plans are a bit extravigant on VZW, i have to admit. The roaming charges are extravegant if you don't change to a global roaming access plan. Personally here is the better option. Buy a storm, put the unlimited 64.99 global data plan, then tether with the 15.00 plan. win-win.